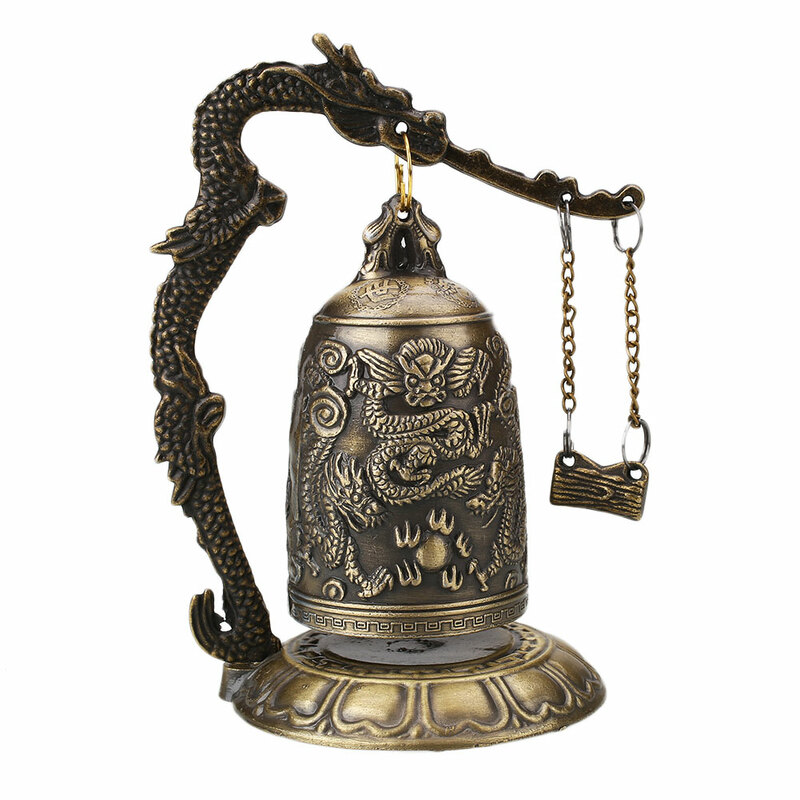 This antique bronze, hand-carved Buddhist Dragon Bell brings forth Buddha's voice and guides your attention during meditation. 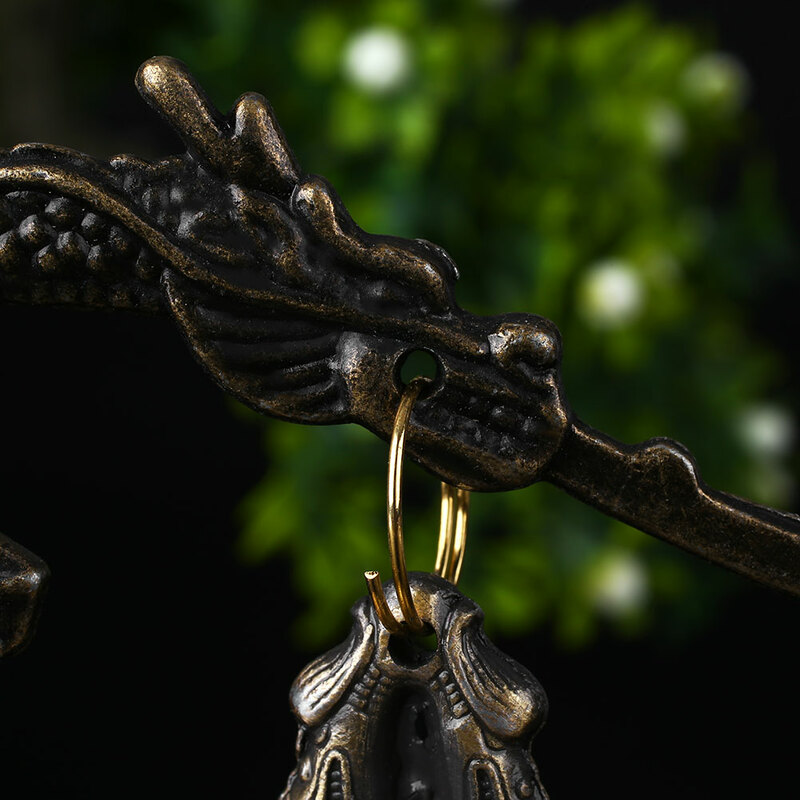 The Dragon has long been considered the most powerful of all symbols of energy and good fortune. It would bring luck, wisdom, prosperity, abundance, constant success and success. 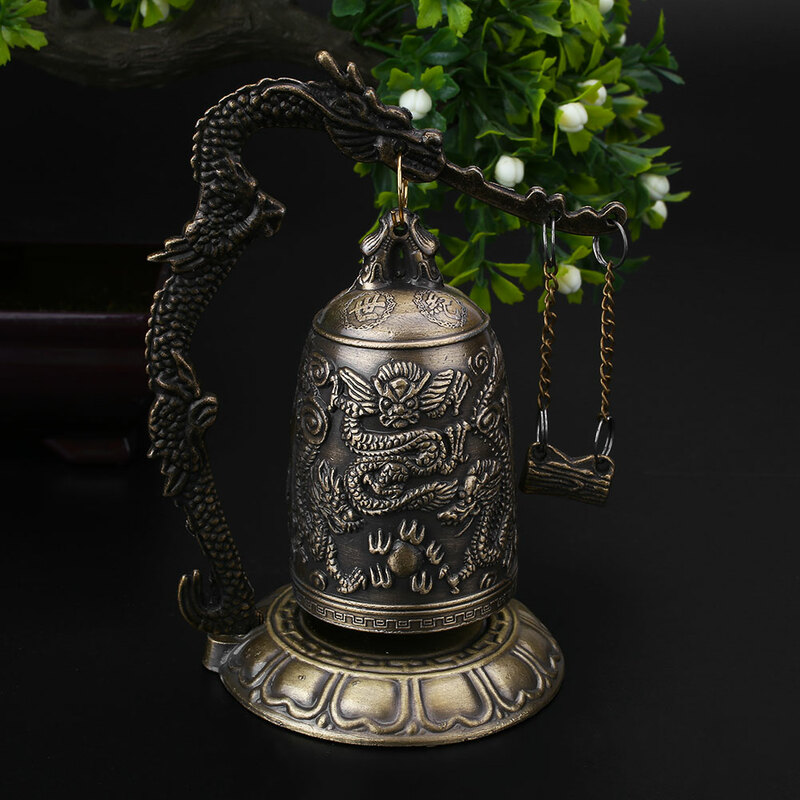 The Buddhist meditation bell is very useful object of meditation. 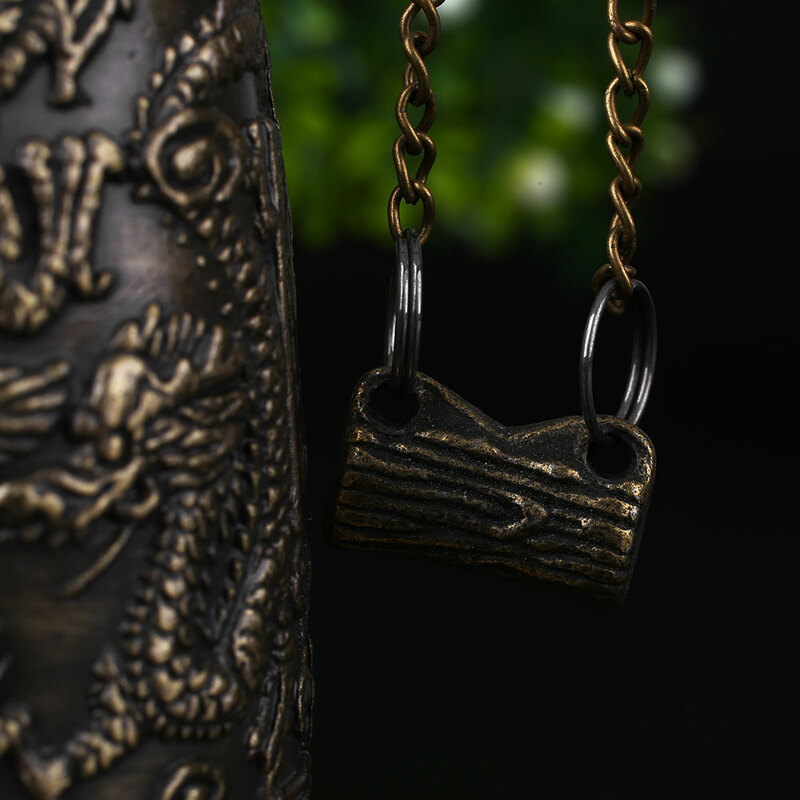 The same way you concentrate on your breathing technique during sitting meditation, you can use the meditation bell sound as the prime focus of your meditation. Use it to indicate the start of your session. A bell can also clear your space. It can also be struck in an attempt to create an aura of purity, encouraging you to get deeper into meditation. 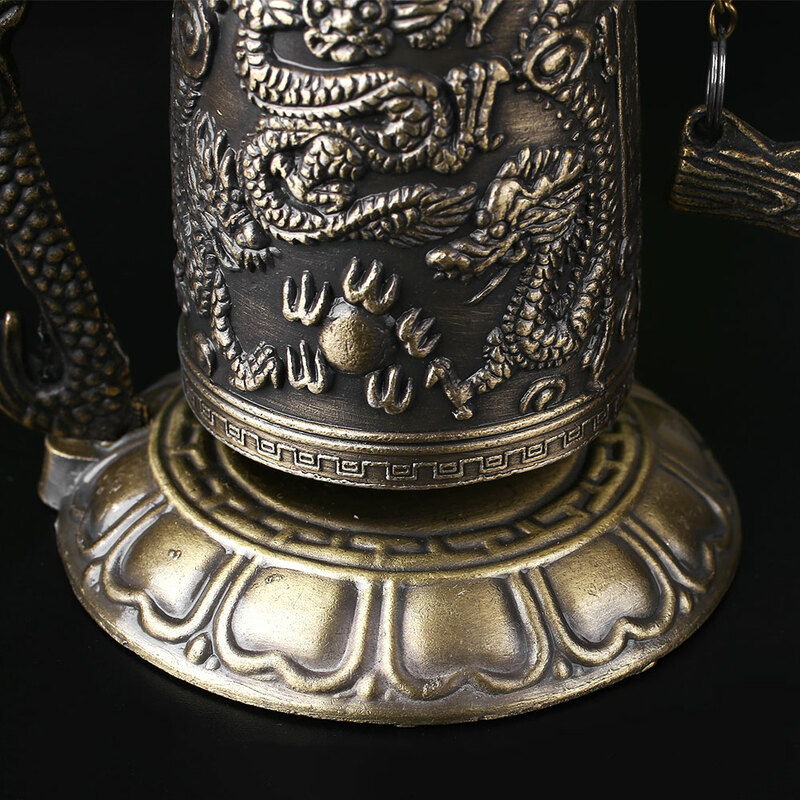 Others even believe that the meditation bell sound can ward off an assortment of negative energies.